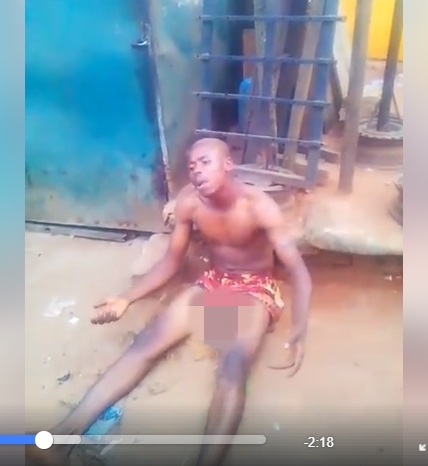 An eyewitness identified as Okan Godswill has taken to social media to share the clip of a young man who is well known for being an internet fraudster in Benin, the Edo state capital. The 'big boy' ran mad after allegedly using his dad for ritual. 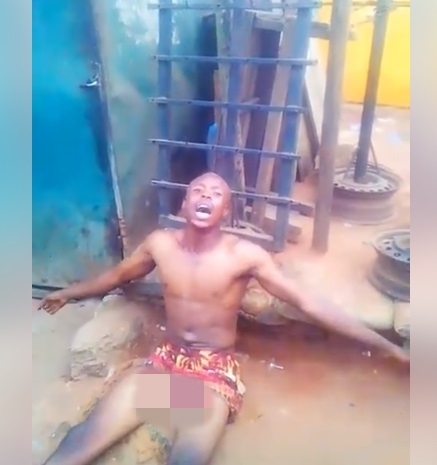 He was captured in a clip sitting on the floor confessing and saying, "They are after me, they wan kill me", as residents force him to reveal how he sacrificed his father. A man can also be heard in the background saying that the young man recently bought a Lexus SUV and was seen spraying money during his father's burial after he used him for rituals. Godswill wrote; "Happening now live at Agbior park ohovbe junction benin city... yahoo boy bought car for his father after two weeks his father died... he's here running mad and confessing people he has killed..."